FREE Christmas Cookies Cookbook - 30 Family Favorite Recipes! You are here: Home / Great Deals / Amazon Deals / FREE Christmas Cookies Cookbook – 30 Family Favorite Recipes! FREE Christmas Cookies Cookbook – 30 Family Favorite Recipes! Here’s a great, FREE cookbook just in time for the holidays! 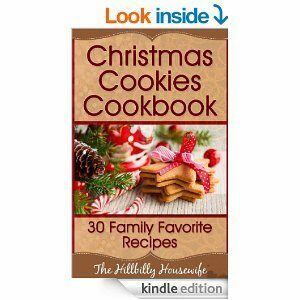 Grab the Kindle edition of the Christmas Cookies Cookbook – 30 Family Favorite Recipes for FREE! The digital list price is $2.99. Christmas time is upon us and there’s just something magical about this time of year that takes us back to when we were little. One of my favorite things has always been to have everyone gathered together to make Christmas Cookies. We made many different types of cookies to share with friends and family to celebrate the holidays. It’s one of my favorite memories and one I try to recreate every year.